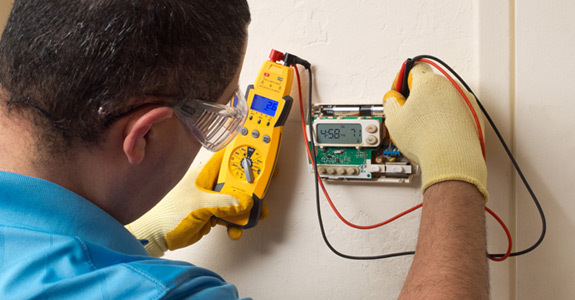 System and equipment repairs: We provide basic repair services for equipment manufactured by numerous companies, and serving nearly every conceivable purpose. We offer maintenance and repairs on air conditioning and heating units, gas heating units, heat pumps, HVAC systems, refrigeration units and winery chillers. We even honor manufacturer rebates and warranties! Agricultural services: For large farms and other agricultural businesses, we offer services on walk-in units to help maintain proper storage temperatures. We’re always pleased and proud to be able to help the local agricultural industry with essential services. Specialty services: We also offer repairs on a variety of specialty equipment, including walk-in coolers, freezers, ice machines, reach-in coolers, refrigeration warehouses and custom wine vaults. Call us today to ask about any of our niche repair services! For the very best in heating, cooling and ventilations repairs and services, call American Refrigeration at 541-688-0939 or visit us to learn more about why our customers have made us their top choice for HVAC repairs, including commercial freezer repair, in Eugene, OR. Ask us about how high efficiency HVAC systems can cool down your office and save you money!